Feeding: Badis Badis (Badis) accepts most small foods including small flake food. 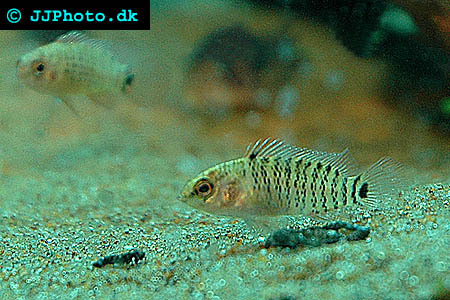 Breeding: Badis Badis (Badis) is relatively easy to breed. The males can be identified by the fact that they are much more colorful then the females. The males guards the eggs and fry which are laid in a cave or other hiding place.